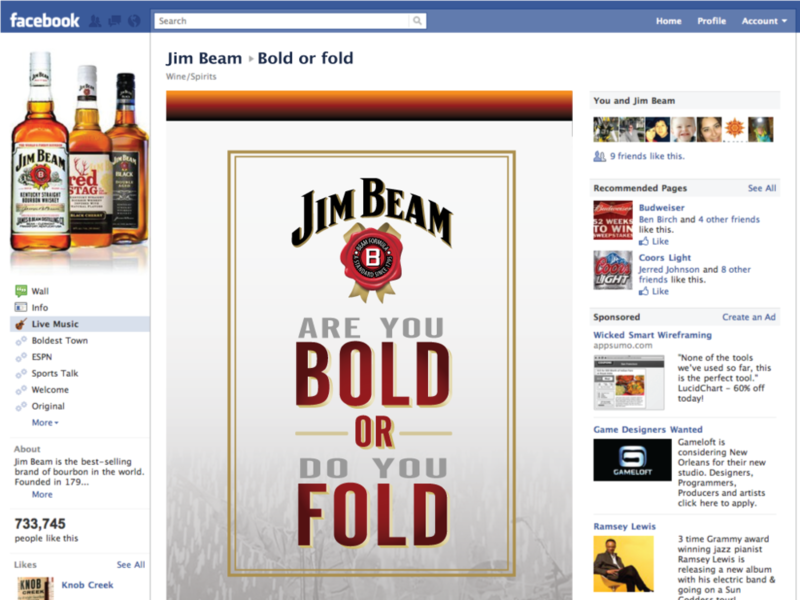 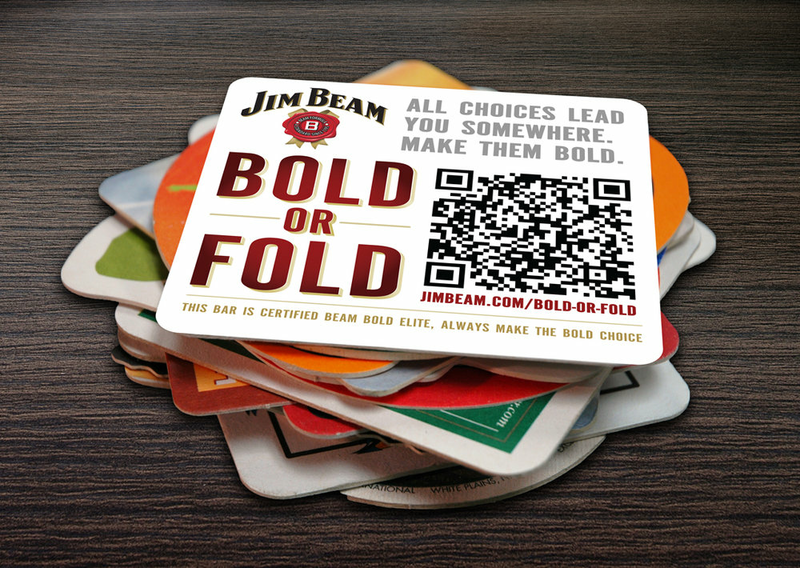 Jim Beam Bold or Fold was a city focused creative media initiative that Starcom Pitched to Jim Beam in an effort to form an intersection between Jim Beam, their web presence, social networks, live events, customer rewards, gameification incentives and consumers who were currently in the act of drinking Beam. 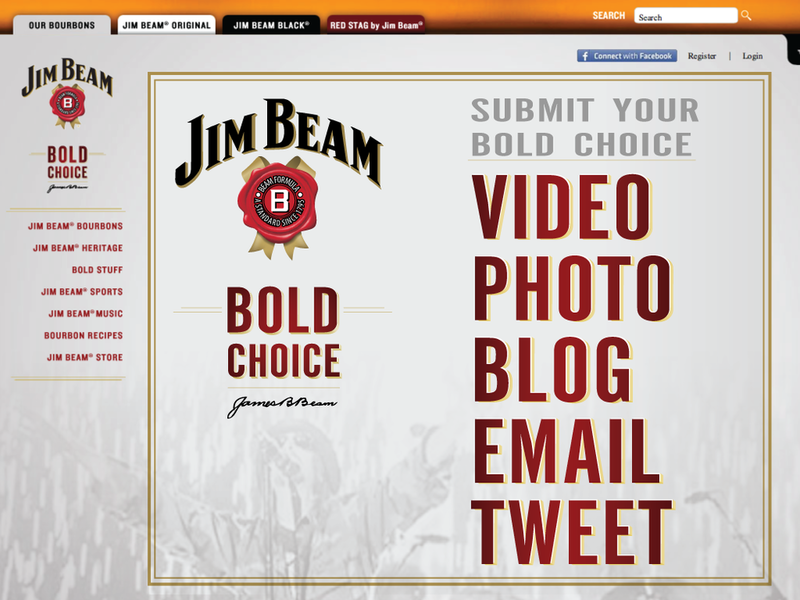 The user experience journey would take them from an initial challenge of asking them weather they were “bold” enough to perform a task or action and to record it as proof. 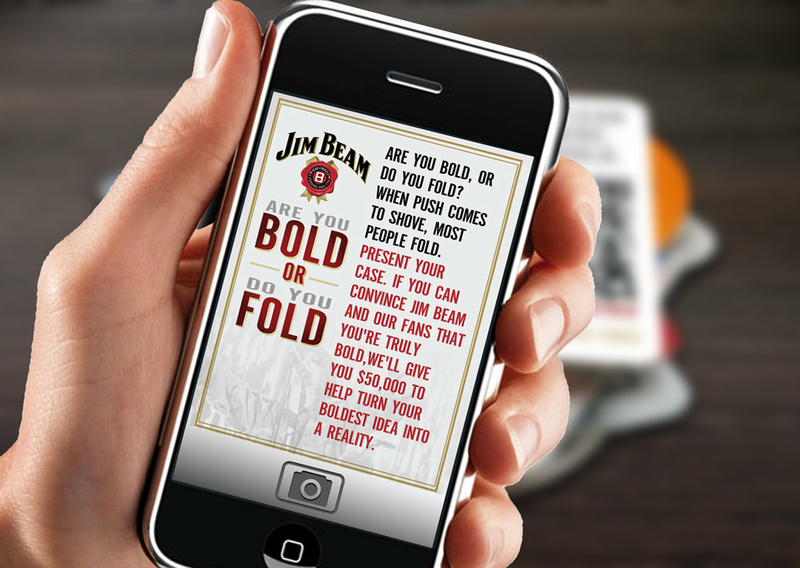 In the completion of that action they would receive serval real time rewards (free drinks, shots for friends, appetizer) from the bar they were currently in as well as have the options or ability to save up points for bigger rewards (vacations, shopping sprees, celebrations and nights out on Jim Beam). 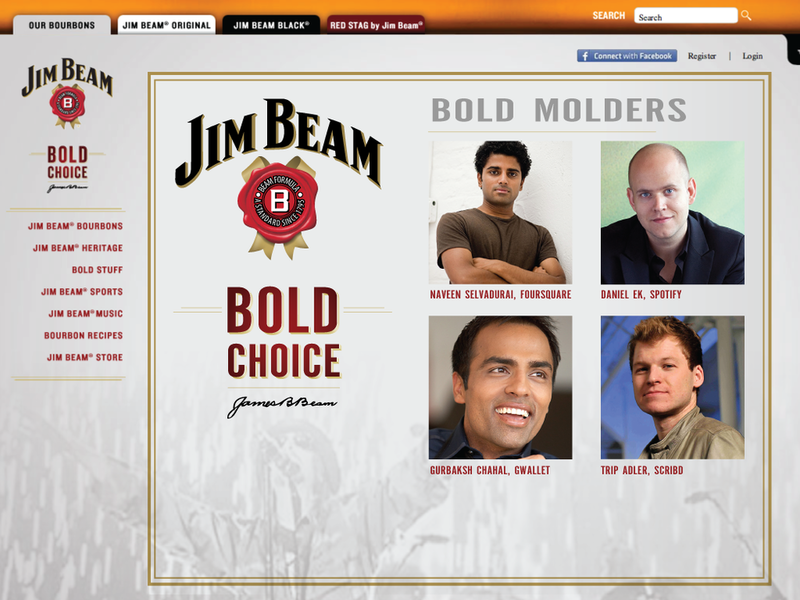 I crafted a brand identity and mocked up implementations of the web app, Facebook implementation and web presence for the completion of the the idea.